EBEA is proud and honoured to announce that Maxim Zhadobov (IETR, Rennes, France) is the winner of the first edition of the Alessandro Chiabrera award. This prize has the main purpose to foster excellence in the Bioelectromagnetics community by giving recognition to outstanding scientific contributions from early stage researchers, and to keep alive Prof. Chiabrera’s memory and scientific legacy. The nominations were evaluated and selected by a committee composed by the EBEA President and by four other prominent scientists, the EBEA Council gave the final approval. 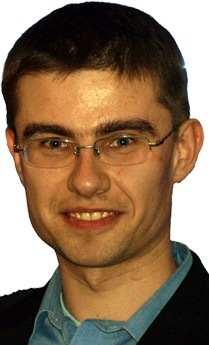 Maxim will give a lecture titled: “Bioelectromagnetics Applied to Emerging Body-Centric Wireless Technologies” during the joint annual meeting of the Bioelectromagnetics Society and the European Bioelectromagnetics Association, BioEM2015: June 16, 2015 • 13:25 – 13:45, Merrill Hall, Asilomar Conference Center, Asilomar. Congratulations Maxim…. it’s just the beginning!